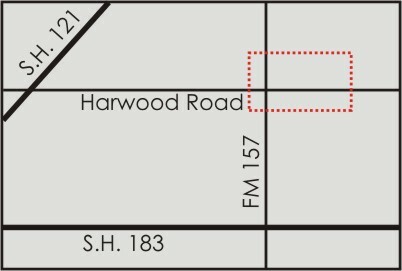 1.3 acres or 57,717.5 Sq. 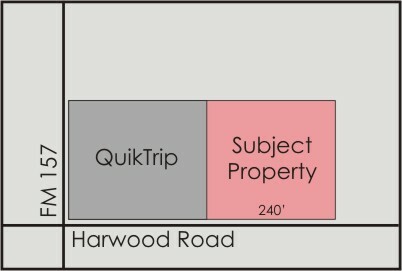 Ft.
Frontage: 240 feet on Harwood Road. 19,300 cars on Industrial Blvd. (FM 157). 52,000 cars on State Highway 121. 96,000 cars on State Highway 183. 11.593 cars on Harwood Rd.